St. Mark Children’s Day Out is a ministry of St. Mark United Methodist Church in Northwest Austin. Our teachers and staff are caring, Christian women who believe every child is a child of God and cherish each student for their unique gifts and talents. St. Mark Children’s Day Out provides play-based learning activities as we believe young children learn best through play. We introduce a monthly theme (animals) with weekly sub-themes (farm, wild, pets and ocean). We focus on a monthly shape, color, number, and letters. We also highlight a Bible story each month. Our themes are outlined on our curriculum school year calendar, which is available to every parent. We also provide parents a brochure, “The Power of Play” written by Dr. Michael K. Meyerhoff. It describes extensive research indicating children do learn best through play. St. Mark Children’s Day Out offers extended care and field trips. For children who are at least three years old and potty trained, we offer after school enrichment until 2:15 pm Monday through Thursday. The rate is $8.00 a day. We currently offer extended play, science, Spanish, and Soccer Shots. Our Fours and Pre-K classes attend several field trips each school year. Students have visited a pumpkin patch, Christmas tree farm, Crowe’s Nest Farm, and the Austin Nature and Science Center. 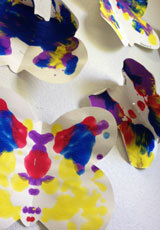 St. Mark Children’s Day Out offers classes for children aged 18 months through 5 years. Our school hours are 9:00 a.m. to 1:30 p.m. Monday through Thursday. 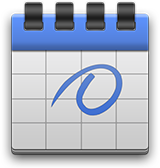 You choose what days and how many your child attends based on your family’s needs. You are not required to register for the traditional Monday/Wednesday or Tuesday/Thursday slots. We accommodate your schedule. St. Mark Children’s Day Out is a licensed child care facility. 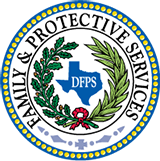 We comply with all Minimum Standards established by the State of Texas Department of Family and Protective Services.